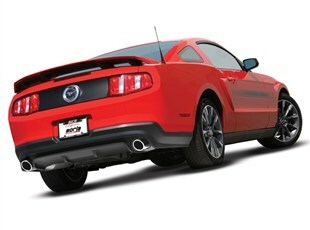 Get your Mustang GT the essential airflow upgrade it needs with Borla's X-Pipes. 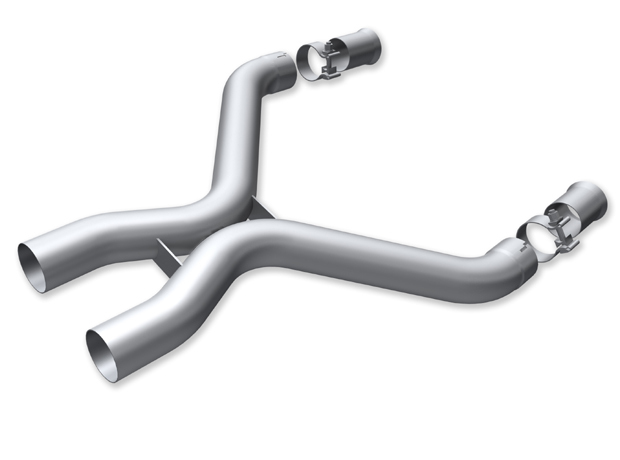 Increased airflow means increased performance, and these X-Pipes will do just that. Airflow is essential to performance, and sometimes your stock pipes may not cut it. These X-Pipes by Borla are meant to increase airflow through your exhaust system. These pipes can connect to your factory system, but for the MOST performance, you can use these with your already existing Borla Axle back systems. The X-Pipe is designed to promote better airflow by allowing the level of air dictate which pipe is exits through. In other words, if one of the sides of your exhaust is clogged or full of air, the excess air will be pushed to the other side. If you are in the Southern California area, let us install the Borla Performance X-Pipes for you!